"Now is the time for employees and plant managers to make sure they are taking the proper precautions to minimize issues with ants as we head into spring,” said Patricia Hottel, technical director of McCloud Services. McCloud Services, a leading pest management company servicing Illinois, Indiana, Iowa, Kansas, Kentucky, Missouri, Tennessee, Ohio and Wisconsin, is generating awareness on ant exclusion as they are the first pest threat to food plants this spring. 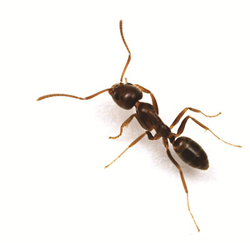 According to McCloud Services, ants are the most common cause of pest related complaints in the U.S. and one of the first pests on the scene in spring. Food plans may experience problems with ants being shipped in on product or inside wooden pallets. They may also enter food facilities from the surrounding exterior as they search for food or new nest sites. “As spring approaches, ants are one of the first pests we see as the snow thaws. Ants are a diverse group with a variety of preferred habits. Food facilities may experience internal ant invasion as the weather begins to turn warmer. Now is the time for employees and plant managers to make sure they are taking the proper precautions to minimize issues with ants as we head into spring,” said Patricia Hottel, technical director of McCloud Services. Inspect all incoming shipments to make sure that ants are not brought into the facility inside shipping containers or wooden pallets. Keep food spills to a minimum both outside and inside the facility. Keep expansion joints well sealed. Keep doors and other entry points sealed. Avoid the use of wood mulch around the exterior of the structure. Choose your landscaping plants wisely, especially those plans which are close to the building. To learn more information about common ant species and how to prevent and exclude them, please download McCloud Services’ article here: Ants in Food Plants. McCloud Services, based in South Elgin, Ill., is the leader in food protection services throughout the chain of custody – from grain elevator to grocery store. McCloud Services is known for its integrated approach to pest management, specifically designed for the food supply chain of custody. Serving the largest food-related brands in the U.S., the company has earned a reputation as the “food protection experts.” McCloud Services is a regional service provider with locations in 11 states. For more information, please visit: http://www.mccloudservices.com. Proud to serve the largest food-related brands in the U.S.